Sunday 7:30 AM and 11 AM . Lord our God, when your Son was dying on the altar of the cross, he gave us as our mother the one he had chosen to be his own mother, the Blessed Virgin Mary; grant that we who call upon the holy name of Mary, our mother, with confidence in her protection may receive strength and comfort in all our needs. New to the Parish? Welcome! Please register. Thursdays at Noon and 7 p.m.
on the kiosk by the west doors. reflecting on the material. Please make plans to study with us. If you or a loved one are hospitalized and would like Father Jim to visit you, please call the parish office or ask the hospital chaplain to contact the parish. Because of privacy laws, hospitals do not publish lists of those who have been admitted to the hospital. Whom do you call for information at the parish? Is it Chris or Fran, Father Jim, Lynn, Linda, or Blase? Ministry Minutes are available at the office. picking up the slack in our various ministries. 10:45 a.m. with ample time to attend Mass at 11:00 a.m.
What can you do to help? What are you called to do? To get a list of course offerings during any cycle check Dayton's website at vlc.udayton.edu. Go to course schedule and then click on next Cycle. If you plan on taking any courses during this Cycle, it would be good to register now becuase sometimes classes get filled and they close the sessions. Deacon Steve Escalera will be taking over the Dayton program in 2017. 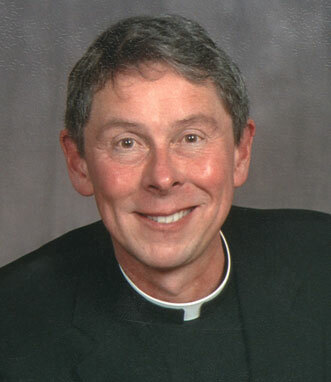 Any questions can be referred to him at sescalera@dioceseofpueblo.org. gathering in the parish center hall, 10:00–10:45a.m. call the office and talk to Chris 561-3580 extension 12. OLM Sunday, 10:00- 10:45 a.m.
begins Sunday, September 30, 5:00 p.m.
begins Sunday September 30, 5:00 p.m.
reception of a sacrament such as Eucharist or Confirmation. Look for more adult formation offerings coming soon. from the kiosk in the Narthex, Today! “How do I know what God wants?” Knowing the will of God can be an intimidating topic for people of all ages. In this talk, Fr. Larry Richards, the founder of The Reason for Our Hope Foundation, delves into the process of discernment. With personal stories, practical steps, and sound advice, Fr. Larry encourages all of us to dedicate ourselves to living the life that God has planned for us. It is in living this life that we will truly be happy. Building upon Blessed Pope John Paul II’s writings about “the feminine genius”, Colleen Carroll Campbell discusses the uniqueness of the makeup and vocation of women from God. She uses the lives of several female saints to help women recognize and use their gifts to live out their faith as Christians in the modern world. Author and columnist Colleen Carroll Campbell hosts EWTN’s Faith and Culture program. All too often, science is falsely pitted against Faith to disprove the tenants of Christianity. In this informative talk, Fr. Robert Spitzer—expert in physics, philosophy, and theology—debunks this powerful myth as he discusses the Big Bang and the origin of the Universe with sound reason, credible science, and faithful theology. This talk is a must-listen for anyone wrestling with the biggest questions regarding Science and Faith. Kids 4 Jesus... Great for home, school, or church! Children are made for faith! Children can reach great heights through a real relationship with Jesus and knowledge of their Catholic Faith. This CD features ten songs from the K4J programs that kids are sure to love, and which will help them build their character and teach lessons about the Faith. See how quickly your kids will learn the words and meaning of the songs! Dr. Ray is a psychologist, radio talk show host, husband, and a father to 10 adopted children. He explains that what is needed to raise well-adjusted children who are prepared to succeed in life in today’s challenging environment is uncommonly good parenting. He draws from his wealth of knowledge and experience to discuss, with wisdom and humor, practical ways to succeed in this God-given calling. 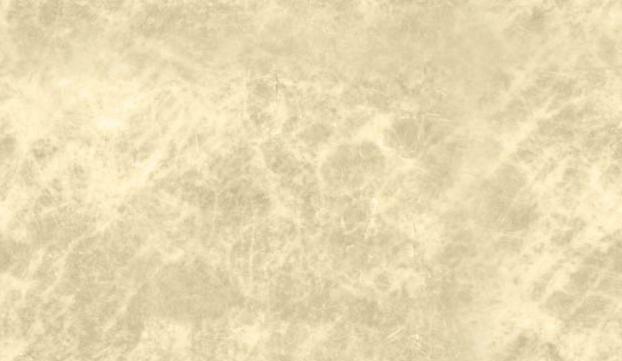 Do you know someone who has never been baptized, but has asked you questions about the faith? Or maybe someone who has been baptized in another faith has asked how to be a Catholic. Our Rite of Christian Initiation for adults and for children run all year. If you have questions, call Chris at 561-3580. It is the goal of the community of Our Lady of the Meadows that no member should suffer the loss of a loved one in isolation. and pastoral services for the bereaved through the ministry of consolation. These services include a monthly support group on the second Thursday of each month; routine contact by telephone and mail, as desired; assistance at funerals and receptions. All services are free and available to parishioners or any family member who is experiencing the loss of a loved one. It is our hope that, through these pastoral services, those suffering a loss may come to know the loving support of the faith community. For more information contact the parish office, or Paula Giordano at 561-2958. Do you care for someone who is chronically ill; find yourself stressed out and frustrated; feel alone and overwhelmed? - find comfort in knowing others care. Join us and connect with other caregivers the second and fourth Thursday of every month (10:30 a.m.-noon) at the Joni Fair Hospice House Chapel (Second Floor), 1107 Pueblo Boulevard Way. No registration required. Open to the public. For more information call 719-296-6201. 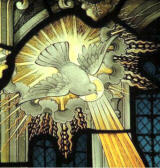 The Sacrament of Confirmation will be celebrated Thursday, May 16, 6:30 p.m.at Christ the King. Candidates and Sponsors need to be present by 5:30 p.m. tomeet with the Bishop. Indiana. Middle School - Just 5 Mission trip to Alamosa, CO, June 15, 2019. For more details please see Linda or Lynn. We have had youth attend these events and they would love to talk to other young people about their experiences. 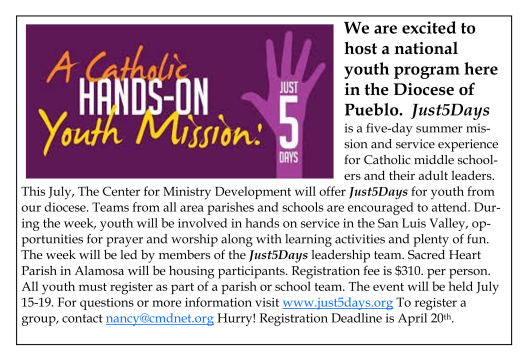 Any middle school teen wanting to attend the JUST5 Mission Trip to Alamosa this summer, July 15-19 -- E-mail Linda Davis @lindadavis81004@yahoo.com or call 564-2696 if you are interested. Baptism is a sacrament of faith. As parents, it is your faith and that of the whole community that gives meaning to the celebration of this sacrament for your child. ● For babies and children less than 7 years of age. (Children 7 years and older must be enrolled in the Rite of Christian Initiation of Children (RCIC)). ● The family must be registered members of the Parish either Our Lady of the Meadows or Holy Rosary. ● A firm commitment by parents to raise their children in the Catholic faith to the best of their ability. ● A copy of the baby’s birth certificate. ● An understanding of the role of godparent. ● Be at least 16 years of age, fully initiated into the Catholic Church -- Baptism, Eucharist and Confirmation and a participating member of a Catholic parish. ● Certification from godparents’ parish of eligibility to be sponsors is required. The next Baptism preparation will be Saturday, September 22 (Noon to 4:00 p.m.) Parents and godparents are required to attend. Baptism preparation sessions are offered four times a year. Please call Chris at 561-3580 to register..
Newman Clubs will continue through April. We thank the Catholic Foundation for the generous grant to fund the high schools and this year Corwin Middle School. Clubs meet during lunchtime: East Club meets Monday; Centennial (Room 418) and Central (Barbara Guerrero Room) Tuesday; and South Wednesday. Check Facebook: Pueblo Newman Club for daily updates. Youth interested in becoming lectors should talk to Chris or Father Jim. Father John Power Memorial Basketball League isLooking for all former and current basketball players, coaches, workers, officials and sponsors who have participated in the Father John Power Memorial Basketball League over the past 50 years to the present. 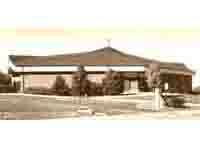 We are having a 50th Anniversary celebration in October and we would like to invite you. For more information, please call Jamie at 719-250-6630 or email frpowerbball@gmail.com. League is open to 2nd — 8th grade boys and girls. The Pueblo Serra Club is part of a worldwide organization formally recognized by the Holy See as the global lay apostolate for vocations in the Catholic Church. The Mission of Serra Club is to support spiritually, physically and financially the increase of vocation efforts within the Diocese of Pueblo and to be a positive reinforcement for our priests and religious. The Club become supporters of those contemplating a religious vocation and mentor those in the discernment process and those in seminaries. The club meets the first and third Saturday of each month (9:00-11:00 a.m.) at the Cathedral of the Sacred Heart Parish Hall. It is open to anyone interested. For more information contact Rose Marie Stimpfl at 720-363-6057.
protect our little part of the world -- planet Earth. Hmmm. join you in this "game" for one day. Help each other remember. The weekend is designed to help married couples communicate more intimately in order to deepen and enrich their relationship. The weekend is free from everyday routines, distractions and tensions. An atmosphere is created where the husband and wife can concentrate exclusively on each other in a private confidential environment. A series of presentations that touch on many aspects of marriage is given by three couples and a Catholic priest. After each presentation the couple has time in the privacy of their own room for personal sharing using the communication techniques learned on the weekend. There are no"group discussions." The weekend starts at 8:00 p.m. on Friday and runs until 4:30 p.m. on Sunday. All faith expressions are welcome! Weekends are at historic Glen Eyrie in Colorado Springs. 719-591-9045 or socowwmereg@gmail.com for more information. Or to sign up online, visit our website at wwme.org. What is it? The NFPI home-study course is a convenient way for couples to complete an NFP course for self-instruction and as a normal part of preparation for marriage. What will you do and learn? * Study the NFPI manual, Natural Family Planning: The Complete Approach. * Learn how to observe, record, and interpret the signs of female fertility. * Learn Catholic teaching about love, marriage, sexuality and responsible parenthood. * Understand that teaching in terms of the Christian marriage covenant. You will complete a series of three tests based upon the NFPI manual, Natural Family Planning: The Complete Approach. You will be sent one test at a time. You will answer the questions or apply rules based on the readings. After you have successfully completed the first test, you will be sent the second test. When you successfully complete the second, you will be sent the third test. After the three tests are completed, you will be asked to interpret two charts. Follow the Home Study Course Link. and become who I am meant to be, on my own." "Jesus, please come and help me by making all things possible." then I am living The Little Way. after Your own heart to gather and guide us. Mary, Queen of Vocations, Pray for us. 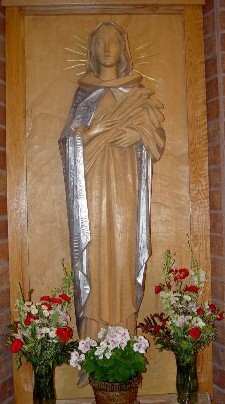 St. Therese of the Child Jesus, patroness of our diocese, Pray for us. At this present time our Church is being shaken by revelations of betrayal of trust by Church leadership. The disclosures of criminal behavior by former Cardinal Theodore McCarrick and those named in the Pennsylvania Grand Jury Report have been devastating. I can only express how truly and deeply sorrowful I am for the tragic failures of the Church to protect innocent children in the past, and for the sins committed by certain Bishops in violation of their responsibility to protect their flocks into the present time. I apologize principally with all my heart to the victims who endured unthinkable suffering as children and robbed of their innocence, wonder and awe, and who have had to carry that burden throughout their lives. In compassion for all victims of abuse, and in sympathy for those in the parishes who have worked so hard to stop it from happening again, I share the universal outcry that the culture of the Church must be changed. Recently I participated in meetings of the USCCB Administrative Committee in Washington, DC, as the regional representative of our Bishops’ conference. Cardinal DiNardo, president of the conference, Archbishop Jose Gomez, vice-president, and Monsignor Brian Bransfield, General Secretary, departed from that meeting to meet with Pope Francis in Rome. 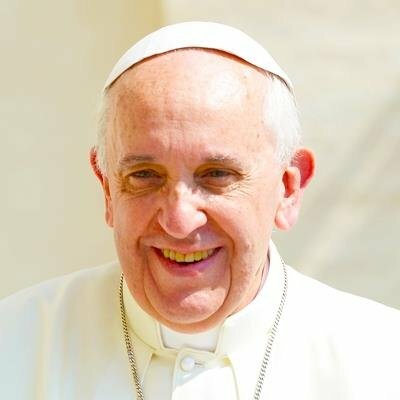 They brought to the Pope our recommendations for goals and next steps to change the culture of Church leadership. I fervently hope that we will now begin to take concrete steps towards our goals in transparency of reporting abuse by Church leaders and holding Bishops accountable for the safety of their flock. I wish here to earnestly assure you that in our Diocese we have worked hard for years with parish staffs and volunteers to ensure a safe environment. We have strong programs in place for immediately reporting suspected abuse, responding to victims, and removing any priests or ministers responsible for such crimes. Be assured that the protection of our children will be maintained and will continue to be strengthened throughout our Diocese. As you read this copy of our Today’s Catholic, I pray that you can see the hand of God present in bringing forth our next steps together for the future of our Diocese. Remember that two years ago we ourselves decided to change the culture of our Diocese. We have since initiated a new Strategic Plan, the light to illuminate the path of the future through the deployment of three effective tools: Forming Intentional Disciples, The Four Levels of Happiness, and The Amazing Parish. With this edition, we offer one final, overarching theme, to be easily understood and intuitively grasped by all. According to the wonder-filled spiritual gift of St. Therese of the Child Jesus, we are now invited to prayerfully begin a journey to become, thematically, The Diocese of The Little Way. 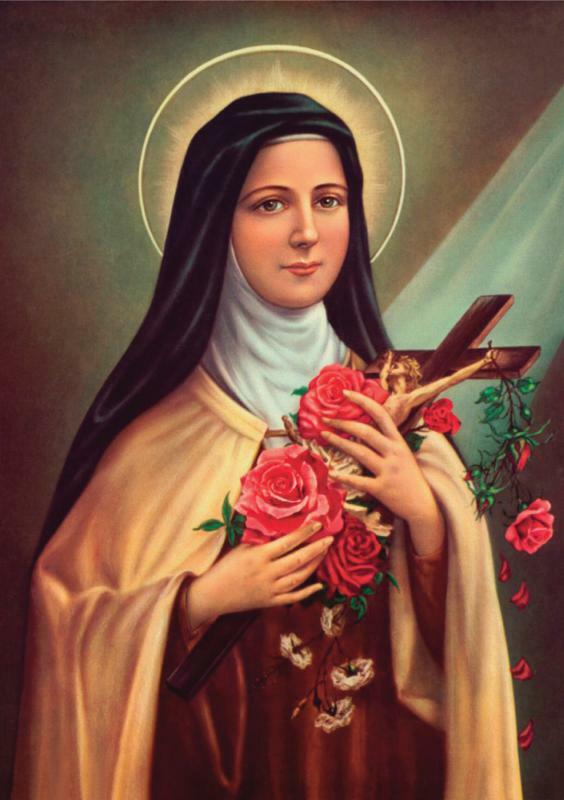 While we remain canonically, civilly and legally the Diocese of Pueblo, we take an intentional step toward claiming for ourselves the charism of St. Therese, patroness of the missions, a charism chosen 76 years ago for our Diocese by our first Bishop, Joseph C. Willging. In becoming The Diocese of The Little Way we begin to position our response to the great needs of our Brothers and Sisters in little ways. We begin to consider, discuss, and plan how we can seek to do great things in little ways, inviting the Catholics of the Diocese to join in taking little steps in prayer, faith formation, sacraments and charity. Our Diocese is not a mighty entity by any standards of the world, but in embracing our littleness, we can do mighty and wonderful things for the Kingdom of God. The Little Way is not an easy way, nor a short cut around our issues, nor a means to avoid our challenges. It is an elevation of our standards of conversion to the message of the Gospel with mutual respect and accountability to each other on that journey. We open the doors to answering an expressed, felt need, for deeper prayer and conversion for ourselves and for our Church. I invite you into prayerful consideration of what is being presented in this edition. This is a wonderful opportunity in a difficult moment to read and reflect on St. Therese’s autobiography, Story of a Soul; to reflect and learn together as families, parishes, schools and throughout the Diocese. The Little Way is a charism which is truly a pure gift, a message of conversion and lifting one’s arms up to the mercy of the Father. 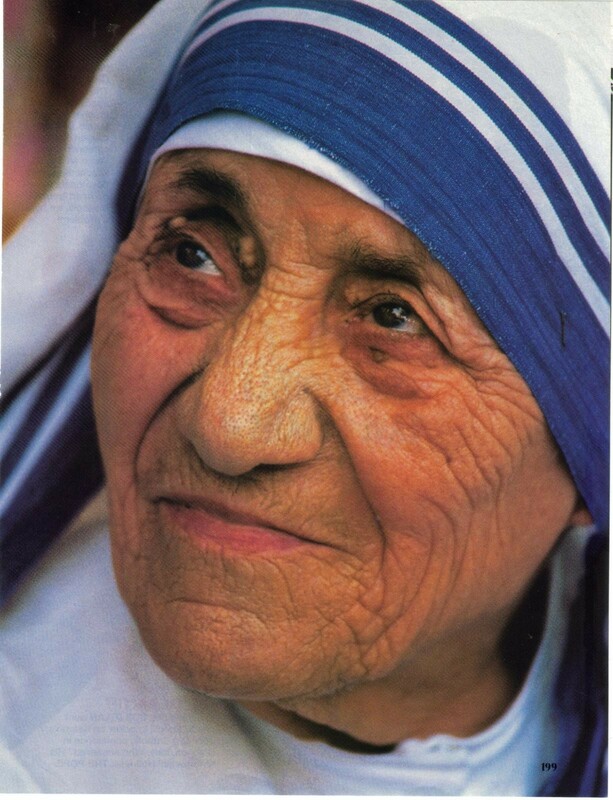 The Little Way is truly the real way, through the friendship of Jesus, to conversion, sainthood and to heaven. On the Memorial of St. Therese of the Child Jesus, the Gospel of Luke proclaims: “Whoever receives this child in my name receives me, and whoever receives me receives the one who sent me. For the one who is least among all of you is the one who is the greatest.” May the Lord bless our Church in its future to receive, protect, and nurture the least among us, our children. May our Diocese now move forward to The Little Way of Jesus. May the Lord Jesus bless you and yours, our Diocese and our Church. St Therese, beloved friend, we come before you in our need. We know that you listen to us and approach God for and with us. Please accept these petitions, hopes, needs and dreams. confidence and loving surrender you taught us. Can't open a PDF file? Brothers and Sisters, Holy Week is upon us! We are on the road to the cross with Jesus, and the bright promise of Easter is soon to dawn! 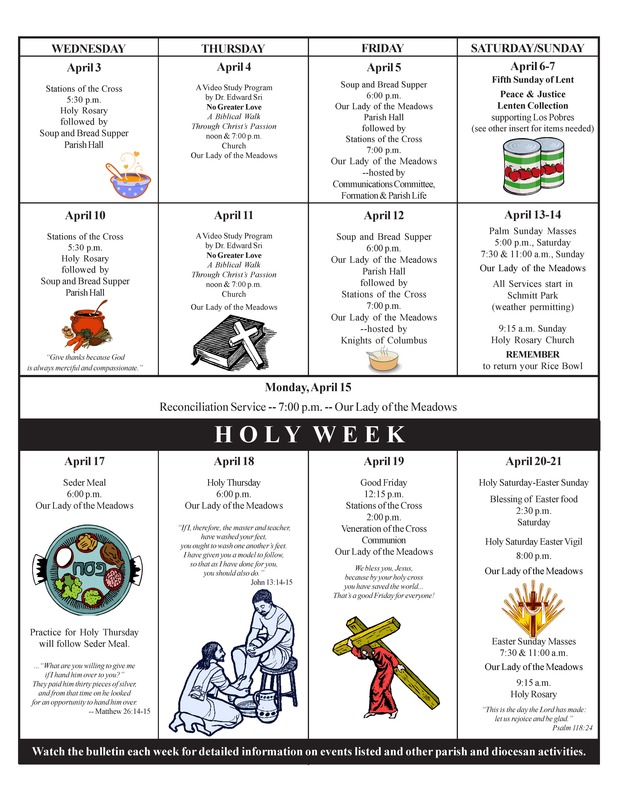 We prepare now to participate in the sacred Triduum of the Passion and Resurrection of the Lord, the culmination of the entire liturgical year, the preeminent holy days of our Catholic faith. On Holy Thursday the whole Church devotes herself to the remembrance of the Last Supper. On the night he was betrayed, Jesus offered his body and blood to the Father and instituted the Holy Eucharist, and the priesthood, washing the feet of the apostles in the readings we will hear proclaimed. After that feast we keep vigil with Jesus, as he prayed in the garden. There he is betrayed into the hands of his accusers to be denied, rejected, beaten, tortured and prepared for a horrific death. On Good Friday we venerate the Holy Cross. We turn to the day when Christ, our paschal lamb, was sacrificed. For it was from the pierced side of Christ as he passed into death that the water which flowed from his wound became the forgiveness and mercy of God to us, his beloved people, while we were yet sinners. The water that flowed from the side of Jesus signifies the origin of the Church itself. On the afternoon and evening of Good Friday through the daylight of Holy Saturday, we mourn and pray at the tomb—suffering the absence of the One who loved us so much he laid down his life. We will remember to observe our Lenten fast and find some time to be quietly, thoughtfully prayerful. Perhaps we may meditate as did the disciples in this time of darkness; were the prophesies false? Why is the Son of Man so quickly gone? Why did Jesus have to die? On the evening of Holy Saturday, daylight fades and darkness descends to cover the earth. A single candle at each parish throughout the world is lit with blessed fire and solemnly processed into the sanctuary of the Church. From the single paschal candle the Light of Christ enters and spreads to illuminate the assembly in joyful chant: Exult, Exult, hosts of heaven, Angels ministers of God, sound the trumpet of salvation for our mighty King’s triumph! The full story of our salvation is now to be made present in the liturgy, readings, music, praise and worship. Christ is risen! Salvation has dawned! The Resurrection is now open to all God’s people! More than 160 catechumens and candidates will enter our Catholic faith on this Vigil of Easter. Almost 300 candidates are being prepared to be confirmed in the upcoming Season of Easter through Pentecost. In a world which knows strife, division, hatred and violence, the message of salvation in Christ Jesus continues to resonate with those who seek meaning in life. We all desire that our time on this earth be spent in service to a cause greater than ourselves. That cause, the greatest story ever told, God’s love for us, unfolds before us in the sacred Triduum to come. The institution of the Eucharist and the priesthood of Holy Thursday, the origin of the Church on Good Friday, and the answer to those who seek and promote an ultimate, eternal meaning for life itself: The resurrection of Jesus Christ, the Way, the Truth, and the Life. 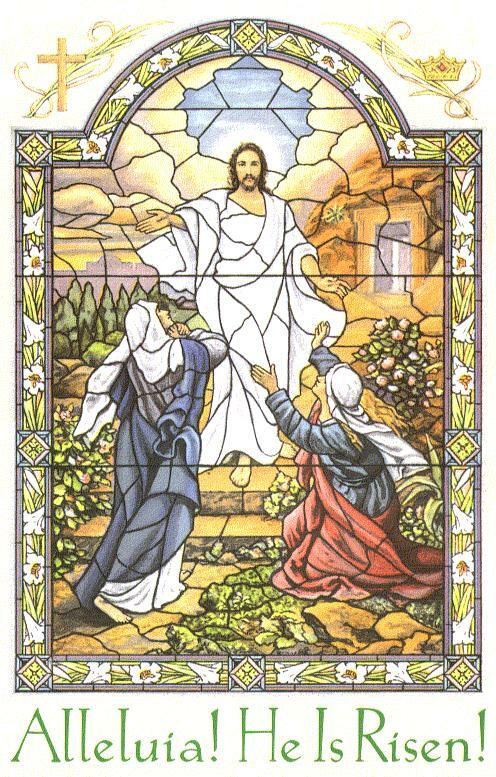 My prayers are with you, brothers and sisters, that each of us be prepared and take the time to accompany Jesus with heart and soul through his Passion in the days ahead, to know more fully the joys of his Resurrection. Something beautiful is about to happen to us which we could never bring about on our own. Let us walk with Jesus. The road to grace is now open! How can we protect our children when we don't respect life? 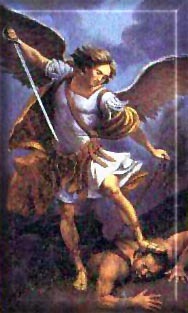 Let us Pray: Saint Michael the Archangel, defend us in battle, be our protection against the malice and snares of the devil. May God rebuke him we humbly pray; and do thou, O Prince of the Heavenly host, by the power of God, thrust into hell Satan and all evil spirits who wander through the world for the ruin of souls. Amen. In the Fall 2018 campaign ... we are aware of 613 babies spared from abortion! Christ heard His faithful people. You – and those 613 moms – relied on the beautiful witness of God's love and mercy on the sidewalks. Because of your prayers, more than 15,000 babies have been spared from abortion when their mothers chose life at the last possible moment. 446 confirmed lives saved since March 6 that we know of! Archbishop Naumann of Kansas City emphasized in his March for Life homily at the Basilica of the Immaculate Conception that if you only see one movie in 2019, see Unplanned. 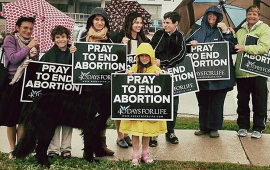 This is a story of hope; Abby Johnson’s story – from Planned Parenthood’s Person of the Year to Pro-Life Champion, and ultimately, to the Catholic Faith. 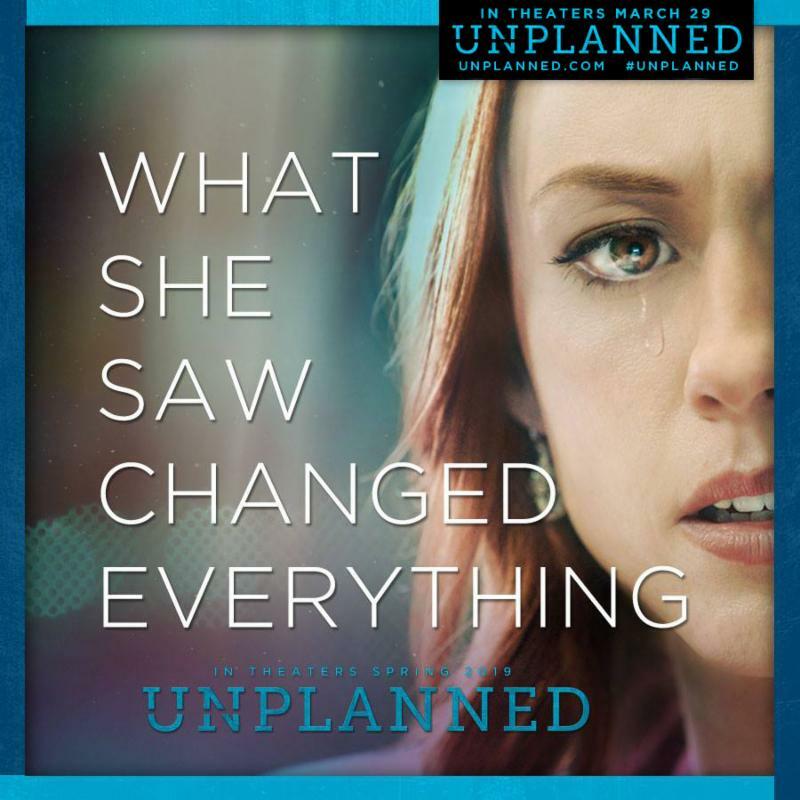 The film opens nationwide March 29, 2019. https://www.unplannedfilm.com/. Please consider attending on the all-important opening weekend. This is a once in a generation opportunity. A time for authentic liberty and justice for all. A powerfully told and beautifully made film. A story of redemption. A moment of clarity that will inspire you for a lifetime. Can't go? Go online and buy a ticket anyway to show support to the world for these kinds of movies! 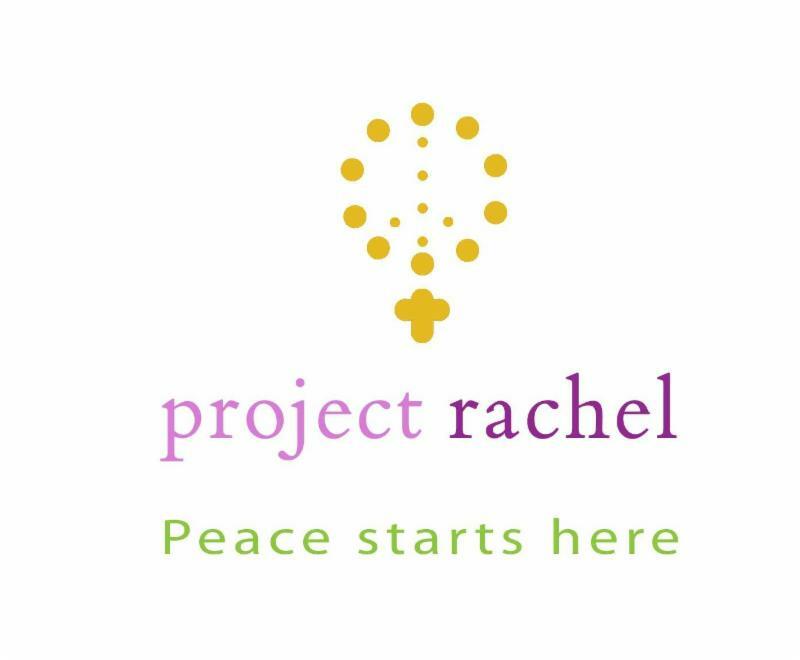 Remember to pray for peace every day at noon. "Your life has meaning! Let us help you hear and answer God's call!" WHAT KINDS OF PEOPLE become priests, sisters or brothers? Are they people who don't relate well with other people? No. They are people who love others - people who find real satisfaction chatting with a 93-year-old parishioner, holding the hand of a cancer patient, listening to the troubles of a streetwise teen. They are people with the courage to touch lives, hearts and souls in a high-tech, unchurched world. Are you that kind of person? Pray for "Yes" response to God's call. Please encourage any men, in whom you see a possible call. "Saint Agnes of Rome, patroness of young girls, chastity, and virgins, was martyred on January 21, 304, for refusing to deny God. She was born into wealth, and was highly sought after by wealthy and powerful suitors. She remained committed only to Jesus. 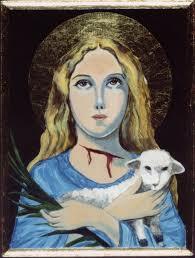 May all young women turn to Saint Agnes and mirror her commitment to the Lord in their vocations." "Are you up for a Challenge? 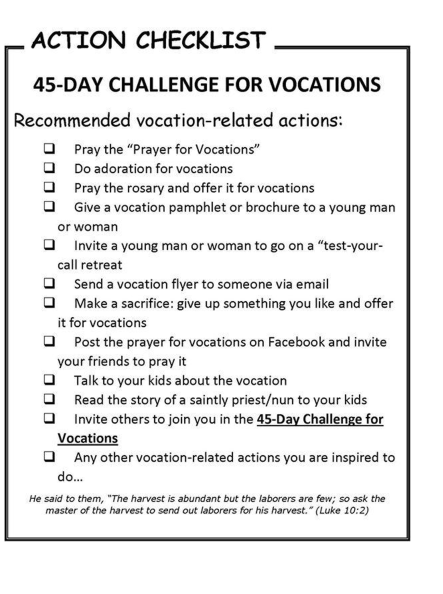 Here's a checklist for a 45-day Vocations Challenge. How about starting on Nov 6, Vocations Sunday? Or start on Nov 11 and finish on Christmas Day? Can you do it?" 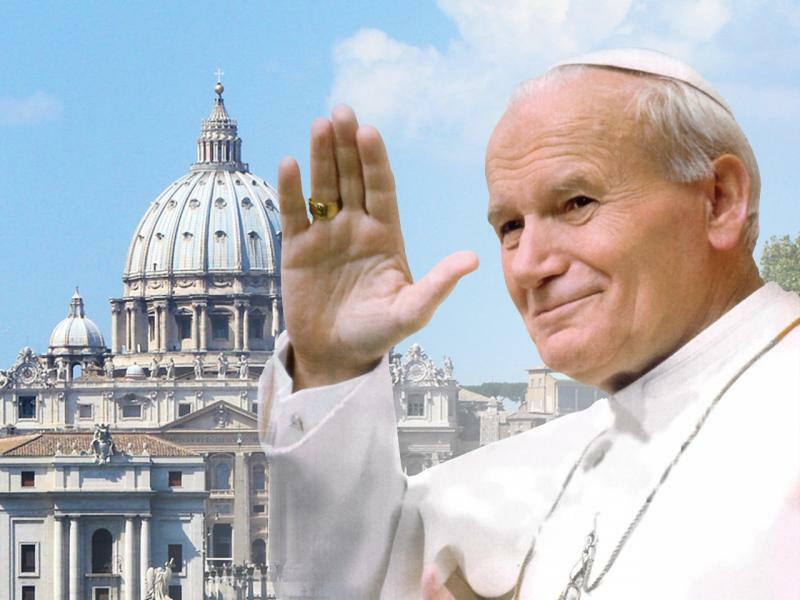 Did you know that Pope John Paul II's mother was advised to have an abortion? She bravely defied her doctor's recommendation and accepted the risks to bring Karol Wojtyla into the world. You might be surprised at the number of famous entertainers who were almost never born. they were never given a chance to live. In the campaign that just ended ... we are aware of 613 babies spared from abortion! Here is a resource that you can share. but those feelings aren't really helping anyone unless we act upon them. 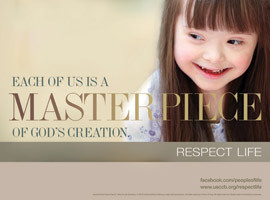 Take this opportunity to support the Respect Life Cause in a real and meaningful way. Listed below in the link is a list of Crisis Pregnancy Centers throughout the diocese. 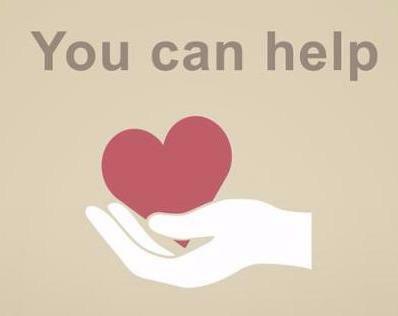 Some have provided a list of their needs to help guide your generosity. of an opportunity for grace through an act of charity to their community. Can you help? Check out the list of pregnancy centers and their needs here. Forty-five years ago, the United States Supreme Court, by a vote of 7-2, thrust abortion on the American public in the decision known as Roe v. Wade. A lot has happened this week. Are you aware of it all? There are lots of opportunities for you to make your voice heard this week. This post is for mature audiences only because it contains (what else?) materials used by PP to indoctrinate children into sexual immorality. This special feline came into their lives at the perfect moment. What will you do to show your solidarity with other pro-lifers next week? 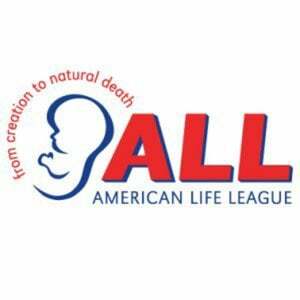 Word of Life are posted on the Word of Life webpage.I am Pro-Life because I am Pro-You. Go You! LOVE is to will the good of the other. 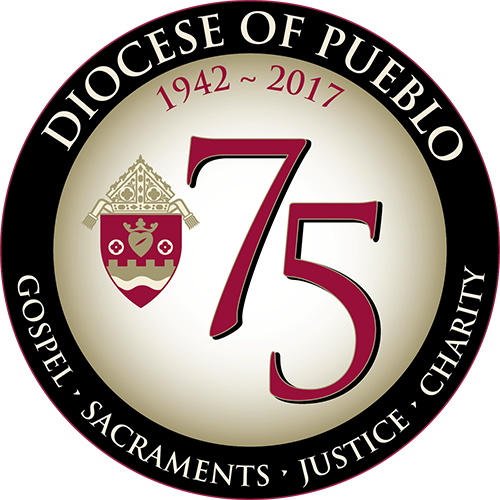 For further information and confidential reservations please email hopeandhealing@dioceseofpueblo.org. Come and experience the mercy of God! 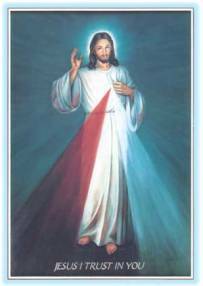 Intercession: May all who suffer after abortion receive peace through Christ's Sacred Heart. Reflection: Recalling our sins, we may feel discouraged and fearful of approaching God. However, we can cling to the truth that Christ's Passion on the Cross did not end in death, but in the joy of the Resurrection. The power of the Resurrection gives us the courage to face our sins, confess our mistakes, and then humbly receive God's forgiveness and accept the joy that comes with new life in Christ. Encounter Christ's ready forgiveness in the Sacrament of Reconciliation, and then continue to place your trust in God's mercy with this short prayer. If a friend confided that she had an abortion, would you be able to respond in a way that brings her closer to healing? "How to Talk to a Friend Who's Had an Abortion" gives suggestions for how you can be a channel of God's mercy. Almighty and Everlasting God, Who, by a prodigy of goodness and a merciful desire for the salvation of all men, has appointed the most glorious Archangel St. Michael Prince of Your Church, make us worthy, we ask You, to be delivered from all our enemies, that none of them may harass us at the hour of death, but that we may be conducted by him into Your Presence.This we ask through the merits of	Jesus Christ Our Lord. Africa , Asia, Central and South America.
" Above all, let your love for one another be intense, because love covers a multitude of sins. Be hospitable to one another without complaining. As each one has received a gift, use it to serve one another as good stewards of God's varied grace. Whoever preaches, let it be with the words of God; whoever serves, let it be with the strength that God supplies, so that in all things God may be glorified through Jesus Christ, to whom belong glory and dominion forever and ever. Amen ."